Kids' Activities, Sports and Fun Things to Do in Ventura County! Click here for listings by category. Something to add? Tell us! 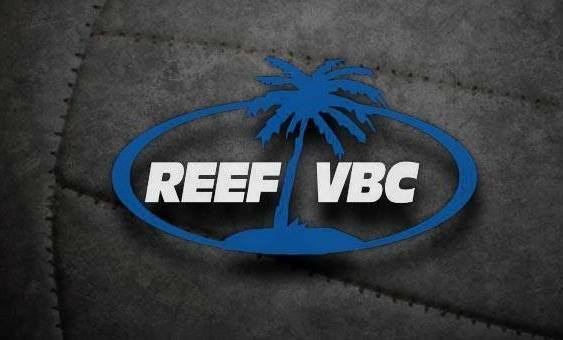 Reef Volleyball Club is a member of the Southern California Volleyball Association (SCVA) whose governing body is USA Volleyball. This program is for girls 18 years of age and younger. The purpose of the program is to provide the opportunity for athletes to receive high quality instruction in volleyball skill development and strategy at all ability levels. Locations in Newbury Park and Agoura Hills. More information at www.reefvbc.com. California Heat Volleyball Club is a member of the Southern California Volleyball Association and practices at 4740 Calle Carga, Camarillo. The club has six teams and provides developmental programs, private/group training, summer programs and more. The club is open to girls ages 12 to 18. CHVC's goal is to train volleyball players to achieve their greatest potential as an individual and as a team player. For more information, visit www.californiaheatvbc.com or call 805.657.6700. Rancho Simi Community Park, located at 1765 Royal Avenue, is one of the largest parks in the area at over 33 acres. It has 2 playgrounds, 8 tennis courts, basketball, pool, horseshoe pits, a lagoon with ducks and plenty more. Visit www.rsrpd.org/park/rscp/rscp.html or call 805.584.4400 for more information. RISE Volleyball Club is based out of La Reina High School in Thousand Oaks. The club offers indoor and beach volleyball training to youth athletes in the area, as well as a travel team, camps, clinics, private lessons, mentorship and more. Visit www.risevolleyball.com to learn more. United States Youth Volleyball League has leagues in cities throughout Ventura County. We are a youth nonprofit recreational volleyball league designed to help spread the excitement of volleyball to all boys and girls ages 7-15. The 8-week league runs from September to November of each year in Agoura Hills, Oak Park, Newbury Park and Thousand Oaks as well as in Camarillo, Ventura, Oxnard, Moorpark and Simi Valley. These are non-competitive leagues and no standings are kept. We have 1 midweek practice and Saturday morning games. Our philosophy is “Every Child Plays” and we provide an instructional league where children learn to play in a safe, fun and supervised environment. At USYVL “Volleyball Starts Here." Visit www.usyvl.org or call 888-988-7985 to find the location nearest you. The Pleasant Valley Recreation & Park District maintains 6 large community parks. Pleasant Valley Park is located at 1030 Temple Avenue. The park, opened in 1998, is 13 acres and offers a skate park. 6 lighted tennis courts, 3 lighted baseball fields, horseshoe pits, picnic shelter with BBQ grills, play equipment, indoor pool, volleyball, snack bar, 2 restroom, soccer fields and picnic tables. Valley Lindo Park is located at 889 Aileen Street. This 10 acre park has 5 lighted tennis courts, one large playground, 2 large picnic shelters with BBQs, grass volleyball courts, soccer fields, restroom, amphitheater and picnic tables. Mission Oaks Park is at 5501 Mission Oaks Boulevard. This 20 acre park (redeveloped in 1996) features 6 lighted tennis courts, large playground, 3 lighted softball field, several picnic shelters, BBQs, restroom, concession stand, volleyball court, soccer fields and picnic tables. Freedom Park is located at the Camarillo Airport at 275 E. Pleasant Valley Road. The park is 34 acres and has a community center, inline hockey arena, 6 soccer fields, 3 lighted software fields, horseshoe pits, outdoor swimming pool, gymnasium, sand volleyball court, picnic shelter, BBQs, playground, restrooms, tennis courts and picnic tables. Community Center Park is at 1605 E. Burnley Street. This 13 acre park has been around since 1966 and has a community center, senior center, district administrative offices, covered picnic area, BBQs, playground, volleyball court, horseshoe pit, amphiteater, restrooms and more. CLICK HERE for more information about the cool new playground and exercise equipment available at this park! Camarillo Grove Park is off the beaten path at the bottom of the Conejo Grade at 6968 E. Camarillo Springs Road. Very rustic setting with lots and lots of shade trees. Park seems a bit on the older side but my young boys love the park. The park features a number of large outdoor covered group picnic areas, a dog park, picnic tables, BBQs, play equipment, restrooms, horseshoe pits and plenty of shade (check out the YouTube video below). The Westlake Volleyball Club for girls develops female athletes ages 10-18 in the Conejo Valley. The club is committed to keeping and retaining the best talent in the area, through exceptional coaching, communication, organization, integrity, honesty, character, and the desire to be the best. The Westlake Volleyball Club for boys develosp young men to become the best volleyball players they are capable of becoming; making them capable of taking their game play to the next level, whether it be middle school, high school JV or Varsity, or college level. The goal is not to just develop their skills on the volleyball court, but also to develop them into positive, responsible young athletes ready to take on the world with essential life skills revolving around a solid work ethic, self-discipline and to learn that hard work eventually pays off in whatever life's challenges may bring them. Visit www.westlakevbc.com to learn more. Oxnard Police Activities League (PAL) is a citywide, after-school crime prevention program that provides outreach to local youth, ages 4 to 18, to build positive relationships between youth, police officers and the community. PAL's mission is to divert youth away from gangs and other criminal activity by providing a wide variety of positive alternatives under the care and supervision of trained police officers, recreation staff and community volunteers. Membership at PAL is FREE and of all of PAL's programs are offered at low or no cost to participants. A wide variety of programs are offered year-round, including athletics, enrichment (e.g. music, education), leadership, mentoring, community events and more. Visit www.oxnardpal.org for more information.